If I had a chance to do my college swimming career again, I would contact lots of coaches–you never know where the right balance of academics, athletics and geography will be unless you turn over every stone. You can always say ‘no’ to a school or coach, but it’s nice to have a variety of opportunities to explore. Is My Best Good Enough? Can College Swimming Pay for my Education? At the beginning of my senior year of high school I had vague ideas about how to continue my swimming career and my education. I had received some letters from colleges but I could tell the letters were not personal and were form letters sent out to thousands of other swimmers. Now I realize that I was not really being recruited by these schools–I was just a name in a data base. I decided to put together a letter for coaches introducing myself and letting them know about my events and times. I wrote six coaches and answered a few of the questionnaire letters that I had received. I was quite surprised when the phone calls started coming in. It turns out I was swimming times that were coveted by some coaches and, to my surprise, Division 1 coaches. At that point the game totally changed for me. Once I discovered that I was “good enough” to swim in college my confidence soared. There would always be swimmers faster than me but what I hadn’t realized was that maybe we were not looking at the same level of Division 1. This taught me that you can’t compare yourself to others. You obviously need to be competing at a certain level, but doing research on programs and what their needs are was the key to finding the right program for me. Did I Look at Enough Schools? I loved the school I ended up at–wouldn’t trade the friends and experiences for the world. Now that I’m older, however, I wonder if I sold myself short by only looking at a few schools You can always look back and say “how would I do things differently?” I picked ten schools, contacted about six of their swim coaches, and was offered scholarships by several schools. Did I limit my options by not looking broader? Probably. You never know what school and program is the right fit for you. You never know what is out there waiting for you…don’t limit your opportunities. NCAA and US Swimming Partner with competitor. 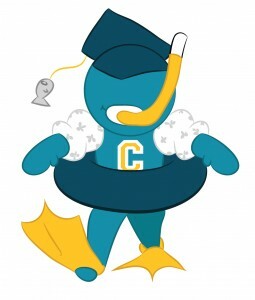 If you have any questions or comments about swimming scholarships please use the comments section below or connect with us on Facebook or Twitter.